Listen and revise – Stainless Games and Wizards of the Coast made a horrible mistake upon release in trying to milk money out of an already working and relatively popular product. The vocal outcry from players and critics alike was enough to get the developers to take a second look and remove the micro-transaction nonsense. 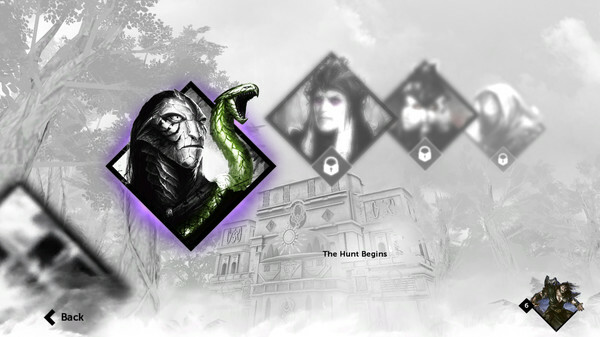 All cards can now be unlocked through game play, just as they were in previous iterations. The fix was needed to make the game playable, so we wont praise this action much beyond saying it was absolutely necessary. Alara makes three – Having three color shards in Magic is just plain fun and can create intriguing variance in decks. 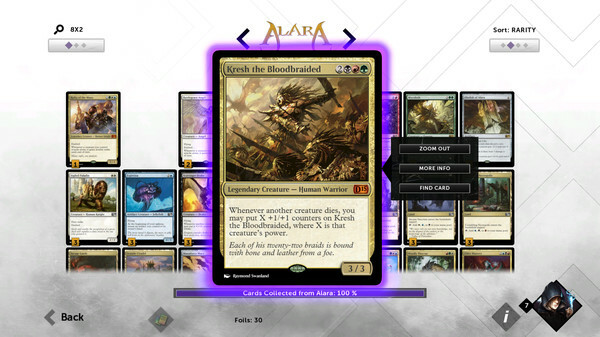 After completing certain challenges in the expansion’s setting of the plane of Alara, players open boosters containing many key three-color cards. The final expansion battle also grants some amazing three color lands that can be used to fix multiple color decks land base. Every Magic player knows how important getting stuck without one of your colors can be to the outcome of a game, so this is a great addition. Becoming Garruk – The expansion campaign puts us into the shoes of Garruk the Planeswalker and gives us some insight into his menacing ways. The story elements before each fight and the text explaining each situation Garruk encounters are very well written. 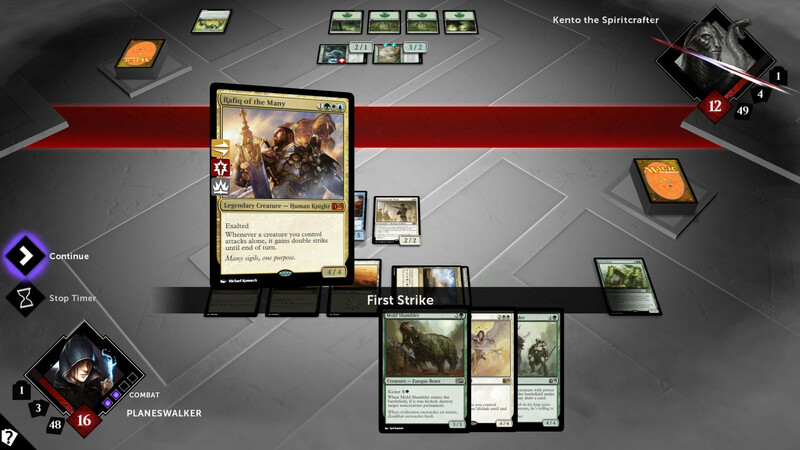 Garruk’s deck is an extension of the Planeswalker himself. We get to play it and use large creatures all while using black magic to maintain control of the board. The deck has a very handy ability to “ramp” itself up and gain massive amounts of land, which are of course followed by monstrous creatures. It’s a very well themed mini-campaign, and for those who enjoy Magic lore it is a true gem. Two-Head ache – The expansion still did not bring Two-headed Giant back to the game. This was the number one complaint from the community as many of us enjoy the brilliance that a 4-player match can create. The lead developer has acknowledged that the mode needs to be put back in and actually promised its return at some point. There are many of us who expected it to be part of this expansion. I am relatively disappointed that it may not be implemented until next year’s release. Vary much – While the 51 new cards are very neat, they do not have a high level of variance. Magic has always been a game of multiple strategies, and including counter magic or mill type decks was a very fun feature of past Duels games. This release does not seem to have nearly as much in terms of deck variance, and relies highly on creatures no matter the deck you plan to use. It does seem that they are encouraging five color decks with the land base and those are admittedly less difficult to vary. I told you to skip this game post-release, and I stand by that review completely. However, this expansion changes the game drastically – almost to the point that it is a completely separate experience. The expansion campaign is fun and provides interesting interactions while giving us new cards to build with. The base game is now more playable on all fronts due to the pay wall being released and the expansion is free to anyone who spent money previously. I’d call that a substantial amount of redeeming qualities, and in the same breath ask that Magic never, ever, ever, go down that dark micro-transaction road again.